Healing Your Financial Soul | A book of Christian financial counseling ... on a very different level. The first printing of HYFS is sold out, but while we figure out what to do about re-printing, you can download the book for your Kindle or compatible device. Healing Your Financial Soul is NOT about budgeting, saving, investing or fundraising - it's an interactive, participatory experience to help Christians deal with their "baggage" about money. And have fun at it! This book is filled with financial wisdom and insight, and is needed in the Body of Christ. Receive freedom to get blessed and become a generous blessing to others. If you're ready to deal with your own financial hang-ups and blockages, I highly recommend "Healing Your Financial Soul" to you. "Healing Your Financial Soul" ... is the best thing I have seen for breaking free from the spirit of poverty. I’m going to add it to my recommended reading list. David is on to something here with "Healing Your Financial Soul". Carol and I are well aware of how the blessings of God’s love can be blocked by the power of unforgiveness and judgments, but hadn’t thought of the financial implications. But the lights came on when I read this book. Poverty is never a friend – this book will lead you deeper into the kindness of God, including financially. David is a long time friend of our ministry having led our School of Ministry for many years. I read David's book twice, it was that good. Knowing the book it was easy for me to recommend to our church that they attend the seminar. David took the people through a very thorough progression that targeted their thoughts, their past negative experiences, their family financial history, etc. His presentation was absolutely biblically based and his insights were profound. Folks who took the seminar and implemented his suggestions saw instant and ongoing results. We will definitely have David back next year as word spread that "you should have been there!" In late December of '06 I found that I had committed myself to reading four different manuscripts for the purpose of writing endorsements and/or suggestions. One of them proved to be a good book, two of them turned out to be very good, but “Healing Your Financial Soul” turned out be both very good and very, very fun to read. As I have taught quite a bit on finances from a Biblical standpoint I was eager to read David’s book. I can honestly say that not only is this book sound in Biblical truth re: money, but it is truly fresh, even pioneering, in the tools and perspectives it gives the reader. I am excited to say this book delivers the goods to heal your financial soul and to help bring you to the place where you can both live and give, like our Heavenly Father, out of abundance of soul and provision. Thanks, David, for a fresh and creative look at God’s standards for our lives. This is a great book and it will help many people move into financial abundance. This book guides us in removing the conflicting beliefs we hold about money deep in our hearts. The result is that our hearts can now fully believe God’s promises to us about financial blessing, and full faith paves the way for complete financial transformation in our lives. Well done, David! I am going to personally work through all the exercises in this book and ensure that my heart is completely free from all negative ideas concerning money. In fact, we liked [the HYFS weekend seminar] so much, we invited him back in the fall. I attended again and received even more blessing from it! Our intent is to bring him back again next year and expect more people to attend based on the testimonies of people that attended the last two events. If your finances are frustrating, the problem is not lack of money or advice: Your finances are simply demonstrating what you actually believe, deep down, about money and your relationship with it. And with God. You’re already living out your own personal collection of self-fulfilling financial beliefs, expectations and prophecies. Including conflicting and contradictory views of scripture verses, tithing, wealth, debt, provision, "prosperity" and so on. If you struggle financially, it's because you were taught, and you agreed to believe, and have made countless decisions to prove, that you're supposed to struggle! It's lodged in your thinking, your subconscious, your emotions and even your body language. If you've ever fallen off your budget, blown savings or run up credit card balances, you've learned that strategy, teaching and raw effort are not the answer. and heal your relationship with money itself. Then your budget can work. Then your investments will pan out. Then bills and debt won’t hold your ideas hostage. You might even find that money kinda likes you. When you’re healthy and at peace with money’s role in your walk with God, marriage, family, work and play, you can pursue and embrace your financial destiny, whether that’s mobilizing an abundance of money for good works, or embracing self-denial. Or something in between. The key is to be healthy about money and thrive. Author David Hicks was a case in point, having succeeded for some time in every respect except financially. Despite a successful consulting background among the cream of banking and investment institutions, plus years of dynamic pastoral ministry, he endured frustration, disappointment and disaster in his own finances. In this book, David synthesizes five pastoral counseling models, applied psychology, contemporary discoveries in neurology, and fresh Bible perspective, and applies them to people's issues with money. Healing Your Financial Soul is born of his own Spirit-led, intuitive, creative, even iconoclastic, process in reversing, redeeming and leveraging that experience. 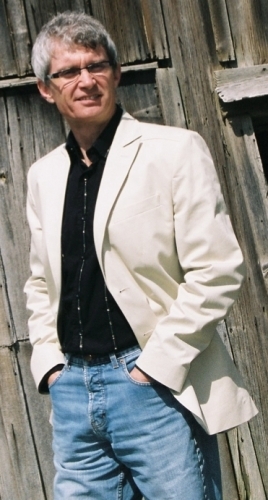 David Hicks is a communications consultant living near Stratford, Canada and an ordained minister. He and his wife, Charmaine, helped create, and then directed, the School of Ministry program at Toronto Airport Christian Fellowship for five years, where they were also members of the pastoral team. They spent the next five years ministering and training in the areas of contemporary worship and pastoral counseling. I’ve read your treatment of I Timothy 6 about “the love of money” and I think it’s very well-balanced and freeing. I like the way you begin by challenging the traditional misquote of the passage (the lie) and replace it with an accurate translation (the truth), italicized words and all. Then you move on to consider the context, which is all important, and sharpen that even more with the author’s intent to disciple Timothy and others in the healthy spiritual life of a leader. It really is a leadership issue, and a huge one at that. And then the quote from verses 17 – 19 brilliantly nails the context issue with a crystal clear example, which gives complete clarity to the true meaning of the “love of money” statement in verse 10. And it refreshed my own perspective on the issue as well. Great job! 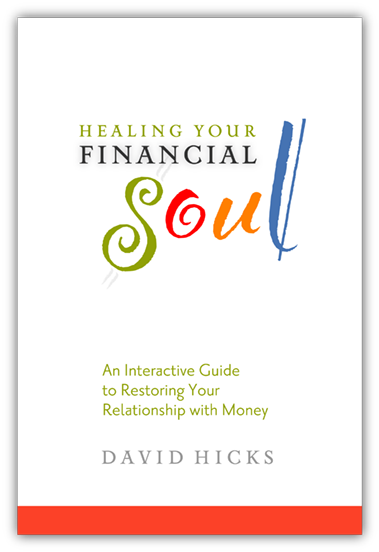 We would highly recommend ‘healing your financial soul’! David’s likeable manner & good humour provide a safe setting in which to engage with this innovative & accessible seminar. In a concise and interactive way he challenges misconceptions, beliefs & expectations surrounding money creating the potential to revolutionize financial situations. Nowhere else have I encountered a teaching on finance that addresses our mindset on finances to this degree. David Hicks is not afraid to address the sacred cows of Biblical finance, which demands heart searching and biblical investigation... and you have fun doing it! I recommend this seminar for groups that are serious about confronting the obstacles that keep them from fulfilling their purposes in Christ. Having a right relationship with money is key to enabling your assignment in Christ to be fulfilled. David addresses this effectively! I don't know of anyone out there taking this angle on finances: addressing Christians' personal traps and turmoils regarding the nature of money and our relationship with it. David's book, and the seminar he led at our church, are fun, thought-provoking and inspiring. We'll definitely have him back soon and we'll be encouraging other churches in the region to join us. Thanks for risking and obeying. Your book will bring freedom to many, myself included. Read a pastor's comments on attending a Healing Your Financial Soul seminar a second time. Download the sell sheet for HYFS here.